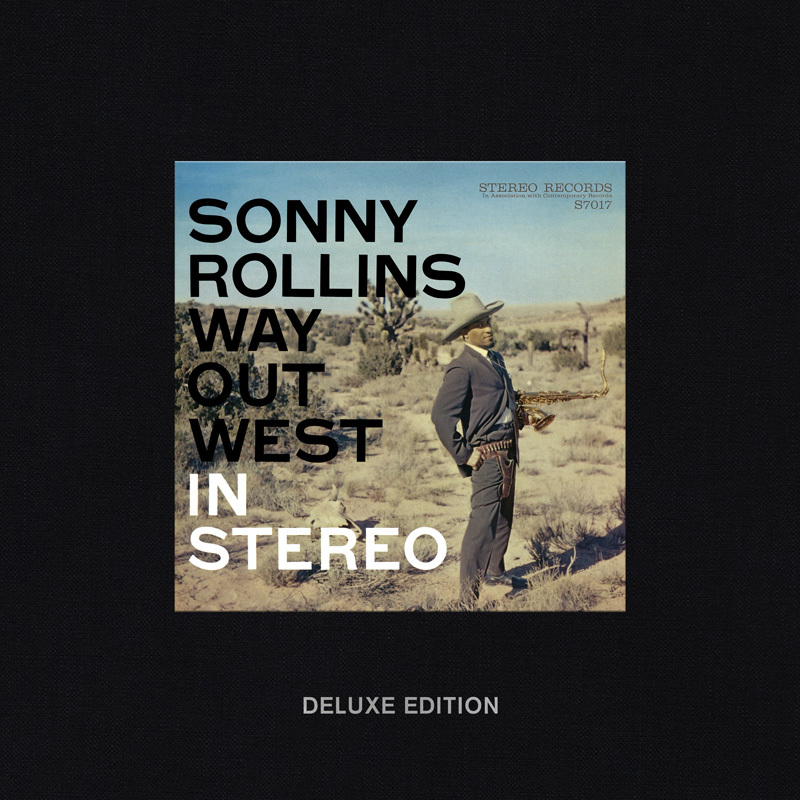 When Sonny Rollins’ Way Out West was released by Contemporary Records in 1957, it got plenty of attention, and not just for its sharply funny cover photo featuring the saxophonist as a mock-cowboy. The album was a departure for Rollins in two major ways: He was teaming with players (bassist Ray Brown and drummer Shelly Manne) he’d never worked with before, and, for the first time on record, he wasn’t using a pianist. 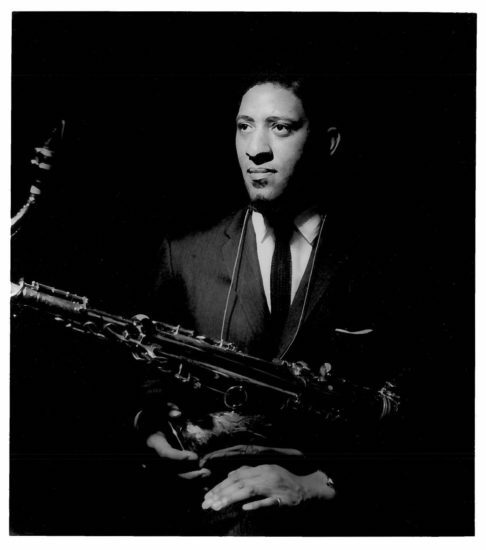 The more harmonically open sound of a “strolling” trio—in other words, a sax/piano/bass/drums quartet with the piano player taking a permanent stroll—would in subsequent years become a favorite option for Rollins and for many of his disciples as well. In a recent conversation sparked by Craft Recordings’ special 60th-anniversary reissue of Way Out West, the Saxophone Colossus, 87, spoke with Lee Mergner about why he likes this bare-bones format and what’s important to keep in mind when you play in it. I don’t know the origin of that [trio] format—I think Don Byas made a [duo] record with Slam Stewart [“Indiana”/“I Got Rhythm,” recorded in 1945]. But when Miles Davis first hired me in 1948, I was playing as the intermission band for Miles and some other big jazz stars, and I was playing with a trio at that time. So I had been doing that a long time. Then we’d do it with Miles, playing as a quartet or quintet but with the piano laying out or, as we called it, strolling. [The choice of a trio] wasn’t for economic reasons. I just liked the sound, because I liked the freedom. I love playing solo. That comes from when my mother gave me my first saxophone, an alto saxophone, when I was 7 years old. I got the saxophone and I went into the bedroom and I started playing—that was it. I was in seventh heaven. My mother had to call me: “It’s time to eat dinner and come out.” I could have been there forever. I love playing by myself. I’m practicing but I’m also communicating with my musical muse. I played with some great pianists during my career, but a pianist by definition leads the horn players, because of the chords and volume and everything—the presence of a piano. I like more freedom, so that if I wanted to go from this chord to that chord, I didn’t have somebody dictate to me, “You have to go from a B to an E here, and I’m going to make it so loud and prominent that you’ll have to do it.” To me that was a little constricting. I always loved the idea that if I could get a rhythm section—a drummer for the rhythm and the bass player for the basic harmony—then I had the freedom to do what I wanted to do. Which was perfect for me. Having Ray Brown and Shelly Manne—what better rhythm section could you get? I got attached to Shelly when I heard him on one of my [favorite] jazz records, Coleman Hawkins’ “The Man I Love” [recorded in 1943]. Ray and Shelly both realized that [Way Out West] was somewhat different than what was being done. They loved it. They accepted the challenge. When you’re playing with a trio, you have to really know the material. You can’t have a bass player who will, as many do, depend on the piano to provide the chords and lead them in a way. There’s nothing wrong with that; it’s what guys do. But when you’re playing in a trio, you have to know what a piano player would be doing and compensate for that and make up for it yourself. Just play as if there was a piano there. The bass has to know what he’s doing; same with the drummer. They have to realize it’s the same, but the piano isn’t there, so they have to fill in for the piano in accompanying the soloist. All the rhythm instruments are very important, and if one isn’t doing his job, then it messes everything up. The drummer is more obvious when he’s not doing his job. Ornette used the trio. Most of his stuff was without piano. When I first heard him, I thought it was just a continuation of what was happening. I didn’t think of it as being unusual. Of course, I’m a musician and I hear a lot of music. To me it was just great music. It wasn’t “Where did this come from?” I think that Ornette and I have a lot in common in our approach and playing. I’ve also heard JD Allen play with a trio. I know that a lot of guys have [used that format], like Joe Lovano and Joshua Redman. Lew Tabackin did it for a while. It’s taken hold as something you should do for your résumé. Basically, if I had my druthers, I prefer the sax, drums and bass format. I think that really gives the artist the most leverage and the most freedom to create. Read Joshua Redman’s interview with Sonny Rollins.